King Estate Agents are delighted to offer to the market this SPACIOUS FOUR BEDROOM TOWN HOUSE offered for sale with NO ONWARD CHAIN. 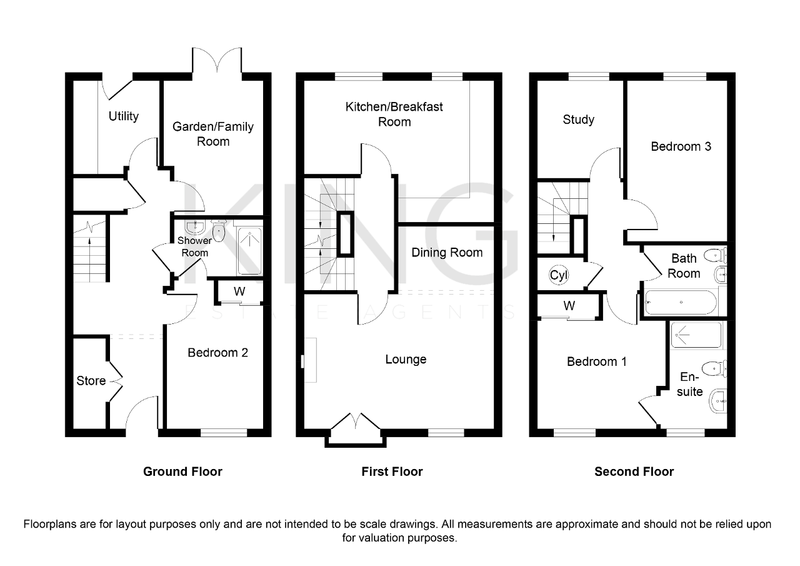 In brief the ground floor comprises of Study, Bedroom, Shower Room and Utility. The first floor comprises of Living Room and Kitchen/Breakfast Room. The second floor comprises of Family Bathroom, Master Bedroom with En-Suite as well as Two Further Bedrooms. Outside there is Allocated Parking to the rear of the property as well as a Rear Garden.